A RUP LIFE: Lehigh Valley introduces New Pure Protect Bottle! 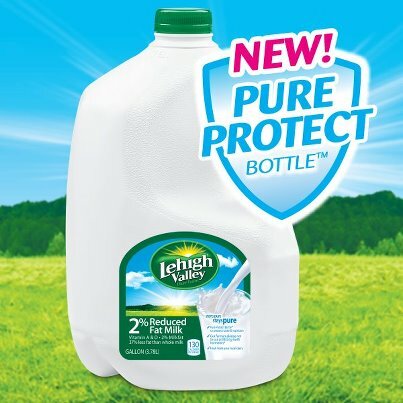 Lehigh Valley introduces New Pure Protect Bottle! Lehigh Valley wants you to enjoy their milk. They've added a new Pure Protect Bottle that keeps light out so that your milk stays yummy! Milk is a favorite drink among my kids and husband. We must go through at least 2 gallons if not 4 a week! I really like Lehigh Valley's 5-Point Purity Checklist and that they care for their quality! My kids really enjoy the taste! Milk from cows fed a nutritious diet. We reject any milk that contains commonly used antibiotics. Tested for Quality at every key step. Cold Shipped from dairy to store within hours. *no significant difference has been shown in milk from cows treated with the artificial growth hormone rbST and non reST treated cows. We’ve created the new Pure Protect™ bottle to protect your milk from harmful light that can compromise both taste and nutrition. 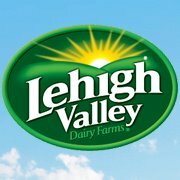 At Lehigh Valley Dairy Farms, we strive to provide our consumers with the most delicious, nutritious milk possible. We think you’ll taste the difference! Be sure to check Lehigh Valley on Facebook for additional information! They are giving away a $100 Grocery Card every week until Labor Day!! Lisa, long time no see, this is Beatriz. Are you close to Trenton? My son is playing there and if your boys ever want to go to one of the games let me know, I can get you passes.